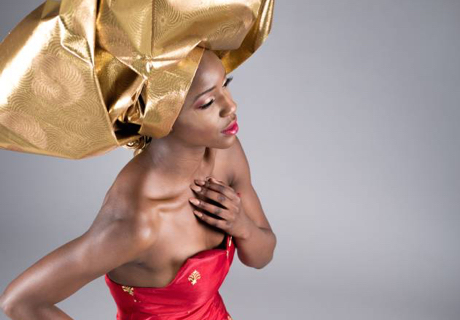 West African fashion is known for its bright and beautiful headgear, from traditional Nigerian geles to aso-okes. Empire Textiles stock a wide variety of headgear for every occasion, and we can help you find the perfect one. Do you want this headgear for a special occasion? If so, push the boat out and choose the brightest colour you can find, especially if the occasion is a wedding or party. If your outfit is in block colour, pick a patterned fabric such as our yellow or purple Sego Ipele & Gele. If you’re wearing Western clothing such as a little black dress or an evening gown, bright headgear can really make your outfit pop without the need to splash out on statement jewellery. If you’re simply after something that will accessorise an everyday outfit, like jeans or a long skirt, you might prefer a more demure Empress Headtie to match your outfit. If your sole reason for wearing some headgear during the day is that you’re trying to hide your hair, then congratulations – any headgear will draw attention from your hair to what your hair is wearing! Most complexions suit most fabrics, and if you find a hair tie that you love then go for it, regardless of whether anyone will consider it to clash. Some say that redheads shouldn’t wear pink, but if you’ve found a beautiful cerise gele then you have as much right to wear it as someone whose hair is jet black. But if you’d really like to complement your complexion, then darker skin and hair will always look wonderful next to bold reds or purples. We stock a wonderful red aso-oke full piece that will really stand out against a dark complexion. If you’re fair, with blue or green eyes, then try a sky blue or light green hair tie to match your eyes. A good rule of thumb is that if you’d wear it as eyeshadow to complement your eyes, it’ll make an excellent choice of colour for your headgear!